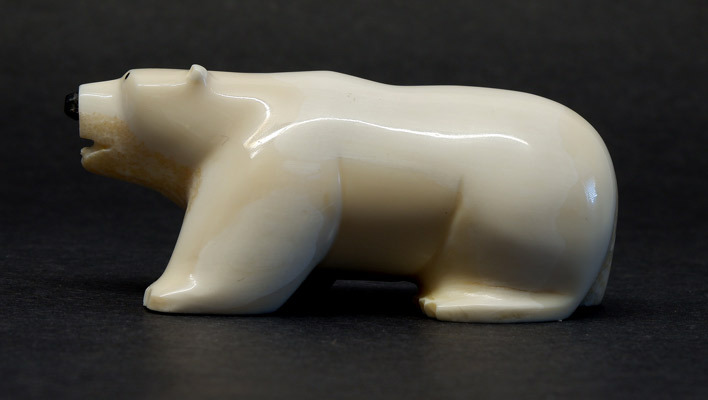 Large bear on all fours is carved out of walrus tusk ivory with inlaid whale baleen eyes and nose is by Yupik artist Jason Kaningook. 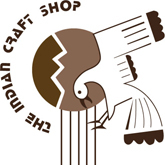 A variety of highly refined Native Indian Arts and Crafts express the unique cultural traditions of Native Alaskan peoples. Commonly known as "Eskimo", the Yupik and Inupiat people of Northern Alaska have been subsistence hunters relying on local species for thousands of years. These local animals provide the materials from which are fashioned exceptional works of art. The tusks of the Pacific walrus provide ivory which carvers transform into amazingly realistic images of animals. Walrus, seal, polar bears and arctic whales are favorite subjects, but we also see birds, otters, woolly mammoth, wolf, moose and many others. 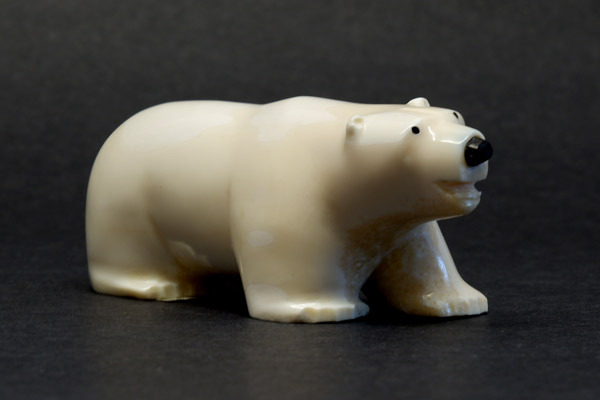 Hunters waiting at seal breathing holes and whaling from kayaks are also depicted in ivory. Old pieces of whalebone collected from shorelines are also used by carvers, often for larger scale pieces. 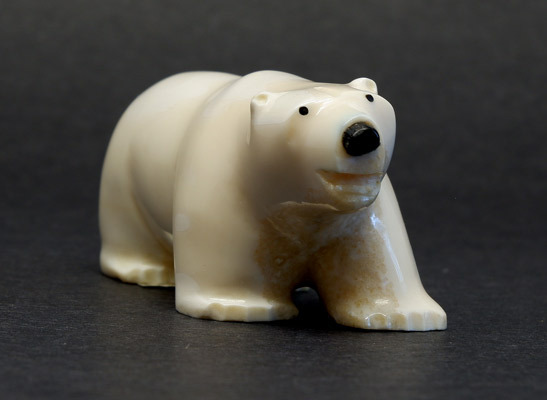 To learn more about Arts of Alaska, click here. Height 1.25', Width 1.25", Lenght 3.25"